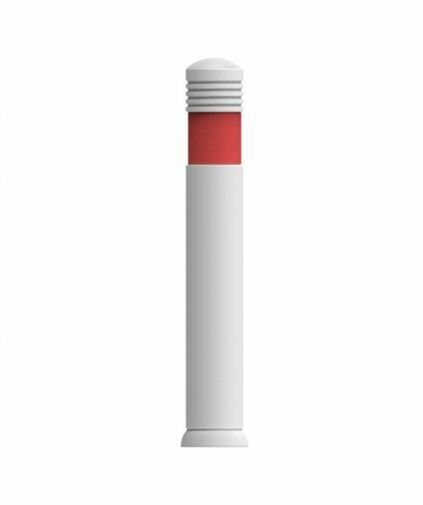 Our bollards are manufactured from 100% recycled waste polythene which gives our bollards their exceptional high strength properties We are able to offer a range of round, square and chamfered /square bollards in standard format or with reflective rings. 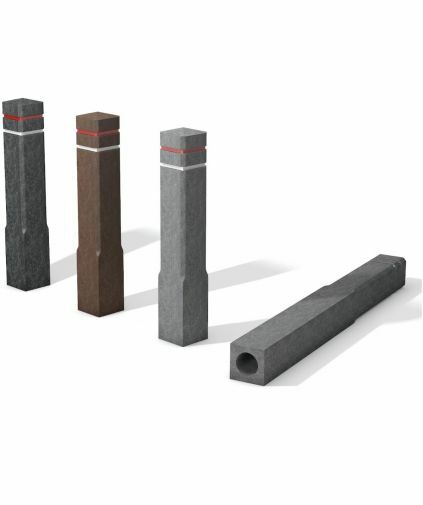 As standard, Street Furniture bollards require a minimum below ground depth of 4-500mm set into concrete. Alternatively, surface mounted and removable sockets are available. Suitable for a range of areas and applications with steel inserts and reflective plates as additional options. 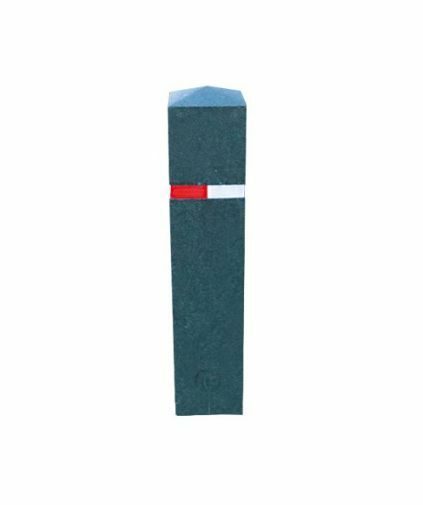 The FlexbackTraffic post is a single piece guide post with an integrated base with anchors onto a suitable surface. 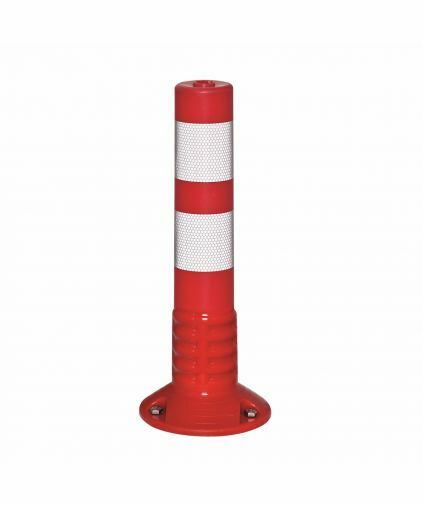 hanit® bollards are an effective way to direct and control traffic. They send a clear message and can prevent cars from parking on pavements or blocking cycle lanes. 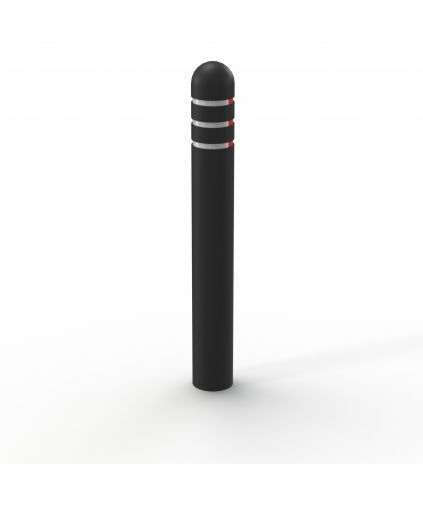 The diamond head bollard is particularly useful in urban settings. 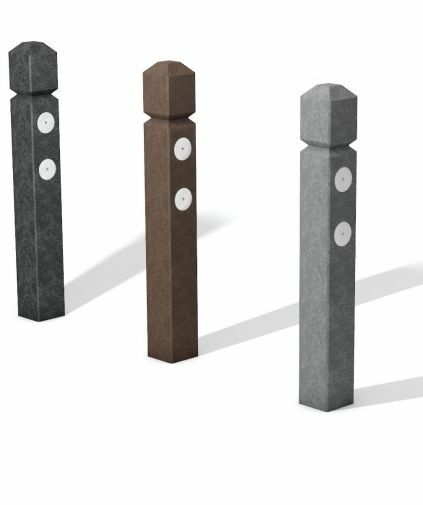 Due to the unusual head shape, our pyramid head bollards draw attention in almost any setting. They do exactly what they’re supposed to do: keep spaces clear. The bollard is equipped with two round reflectors (ø 6 cm) and a rectangular reflector (4 x 18 cm). The Berkeley recycled bollard is strong yet yielding bollard reducing the risk of damage to vehicles etc. making it ideal for use in cars schools, play areas.